Send Photo of Russell Eugene Harris Jr.
Russell Eugene Harris, Jr., 74, of Tempe, Ariz., was born in Phoenix on Oct. 15, 1943, and passed away peacefully on May 6, 2018. As an active member of The Church of Jesus Christ of Latter-day Saints, Russell served a mission in Peru. He retired from the Arizona Air National Guard as a Major and the Phoenix Union High School District where he taught Spanish for many years. 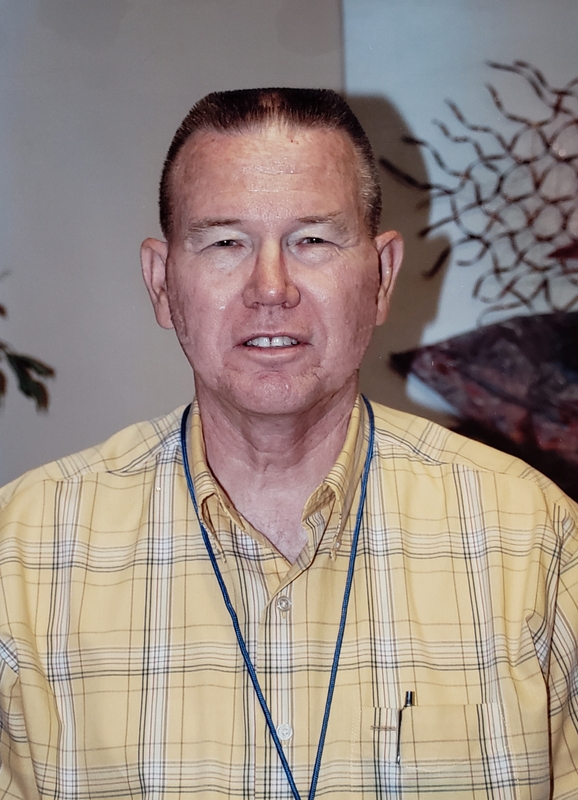 He spent his retirement years volunteering as an Ordinance Worker at the Mesa LDS Temple, as well as the Tempe Public Library, Tempe Police Department and other organizations. Russell is survived by his wife, Julie; children Richard (Angela), Rand (Malinda), Holly (Jack Harston), Rustin (Sarah), Geri Anne (Chris Hoskins), Kelly (Ryan Labadie); sisters Linda (Richard Johnson) and Susan Burdick; and brother Kenneth (Betsy); 21 grandchildren and one great grandchild. He was preceded in death by his parents, Russell and Irma Harris, and brother-in-law Russell Burdick. Russell’s visitation will be held May 12, 2018, at the Lakeshore LDS Chapel, 6001 S. Lakeshore Drive in Tempe, from 9:30–10:45 a.m. Funeral services immediately following the visitation at 11 a.m. He will be laid to rest at the City of Mesa Cemetery, 1212 N. Center St. In lieu of flowers, donations can be made in Russell’s name to The Parkinson Network of Arizona, 240 W. Thomas Road, Ste 302, Phoenix, AZ 85013. Arrangements entrusted to Bunker’s University Chapel. I love you, Dad! Forever in my heart. Will always remember your hugs and service to all. Love You!!! You played a special part within my family for many years, for that I am grateful. You will be missed!! We will miss you Uncle Russ. It was great getting to know you and working with you three days a week for the last year or more. You became like a grandfather to me. I will miss you so much! You will always be remember for your kindess and friendly smile. You raised Great children !! I was saddened to hear of Russell’s passing. My condoleses to you and your family. Oh Julie & Harris family. I am so sad to have read this. My heart is hurting for your family. My God be with all of you. R.I.P. fellow warrior . Happy trails be with you. Rest In Peace Uncle Russ. Prayers of peace and healing for Aunt Judy and the rest of the family.